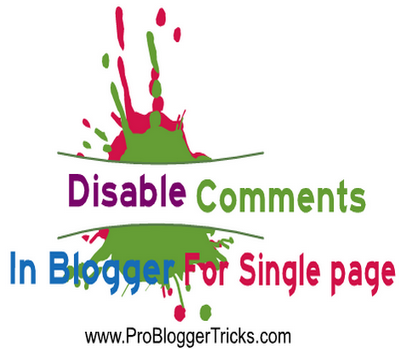 Being a blogger user sometime we need to disable or enable comments in blogger blog for single static page & post. Google officials continuously work on blogger platform to make it perfect for all blogging strategies like in wordpress, drupal & joomla, Blogger developers have uploaded so many additional features in blogger dashboard in 2013. Nowadays this is the most frequently question from newbies to how we enable and disable comments box in blogger blog for single post. You might have observed that recently blogger officials introduced so many additional features in blogger like they have uploaded New HTML editor, Wikipedia search box widget & Description meta tag for single post. Apart from this there is a great improvement going in blogger platform google team is still working hardly on blogger platform and after some time they will provides some amazing SEO tools & equipments for for blogger users like Designing tools, customization & Programming editors in blogger dashboard. Why to Remove Or Disable Comments Form in Blogger For Single Page ? Well the question is not bad. You might have Seen that sometime we have static pages in our blog websites in which we describe author bio data, editors teams. Or some time we create a page for images gallery & audio video another live example is that you have mostly seen a tools page on every blog website. Tools page provides different tools it contains on HTML converter tools, Character Counter tools for post, Color tool, adsense Code parsing tools. 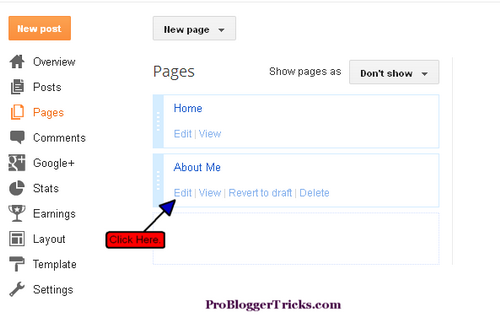 Nowadays this page is created by many pro blogger and laying this page in navigation for helping the newbies. This such like pages we do not allow comment form or comments box. How to Disable Comments box In blogger for single page ? This is a very simple process just follow our below given steps. Select that Page or Post you want to disable comment box. You almost done now there will be no more comments box for this page. 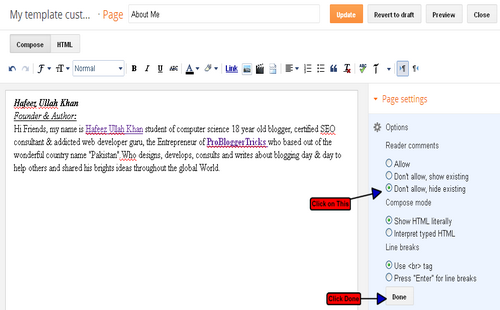 In the same process you can also disable comments in blogger for single posts. just click on one post and then inside editor follow the same steps. How to Disable Comments on Multiple Pages in blogger ? Thanks Ilyas in coming tutoritals we are going to make a complete article about 2013 bloggers of india and pakistan. We will also include your blog in the list with author bio data. thanks to you be around with us. A good informative post that you have shared and thankful your work for sharing the information. Got some entertaining information and would like to give it a try. Appreciate your work and keep sharing your information.